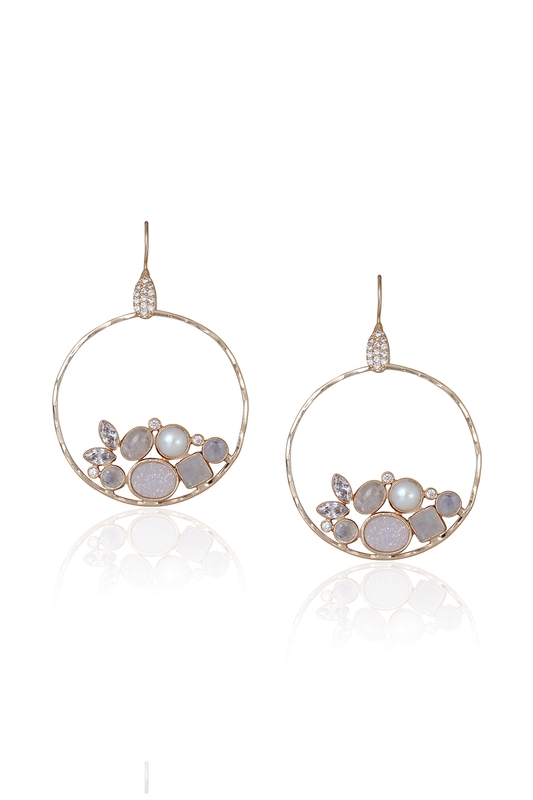 Atelier Mon's pearl, moonstone, druzy pearl shimmer and zirconia hoops are perfect for the girly-girl. 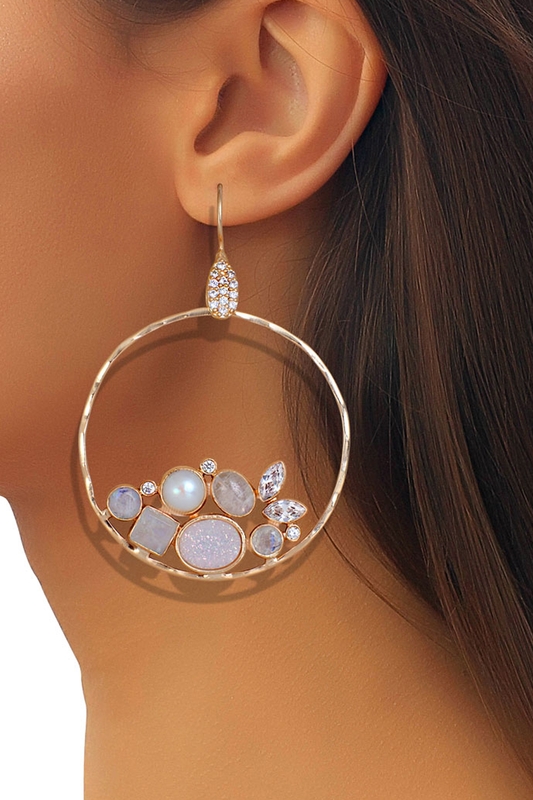 Wear them with a crop top and shorts set on your summer vacay. CARE: Exposure to water, dust and perfumes will take its toll on your jewels. We recommend you store your pieces in a pouch. Clean your stones occasionally with a soft cloth to bring back that sparkle.